If you wish to start working as a commercial truck driver in Vermont, then obtaining a Commercial Driver’s License is the key to your success. Without a CDL, you the work you’ll be able to do will be able to do will be limited. The new regulations that have been established by both federal and state governments are there to protect those who are in the road. According to the Bureau of Labor Statistics, truck drivers in Vermont earn about $38,690 in a year. This can still increase depending on the industry you plan to work in, your seniority, and how many hours you want to work within a week. The truck driving industry is expected to increase about 21% over the next 10 years. Once you have the necessary documents, your next step is to apply for a temporary learner’s permit. You’ll need to pass the vision test and General Knowledge test to obtain a learner’s permit. You’ll need to take additional exams for each endorsement you wish to add to your CDL. Having endorsements will allow you to perform additional jobs, which can increase your opportunity in this industry. You can ensure that you pass the written exams by reading the commercial driver license manual provided by the state. This manual describes all of the information that must be known in order to acquire a Vermont CDL. • Must meet the minimum commercial vehicle guidelines for weight. The skills exam is divided into a pre-trip inspection, basic skills demonstration that involves maneuvering a truck in private areas, and on-road testing in an actual traffic situation. Applicants must pass all three parts to receive their CDL. Applicants are required to surrender any other type of driver’s license upon receiving their CDL. We are always on the lookout for additional commercial truck driving schools to add to this directory. To submit a training company you can use the contact form on this page. When you send in a facility, please include the complete business name, address, and phone details. A Vermont commercial driver’s license is your key to getting a career in truck driving in the state. It is one of the necessary requirements that you need as the state requires commercial truck drivers to have this type of license before they can be allowed to drive commercial vehicles either intra- or interstate. This new regulation has been put to effect due to the recent threats in the national security of the United States. In order to protect the integrity of the state, the government had to issue more stringent rules when it comes to this particular job. The first qualification that one would have to possess is to be at least 18 years of age at the time of the application for commercial driver’s license. One has to be at this age for an intrastate commercial driver’s license while interstate commercial driving requires an applicant to be at least 21 years old. It is important also to have a current driver’s license which had not been suspended or revoked at least for the past 4 years in order to strengthen your merit in the DMV. Applicants can be turned down if they had been involved in some serious traffic violation for that duration. The next thing would be to be well-versed with the Vermont CDL Manual as it is one of the best sources for learning about truck driving. The Manual can be gotten for free at any local DMV office where you can also get your DOT form and application forms. At the office, you can also inquire about the self-certification process which is required in order to drive a commercial truck. It is important to learn the Manual well as it is where the written and skills test are derived. When you have studied the manual, you can now apply for the written test. You first have to visit your local driver licensing office in order to inquire how you can apply for the test. You may be required to set a schedule and to pay a corresponding fee for this exam. Aside from this, you will also have to submit the following: your application form, your DOT medical certification, vision test results, your current driver’s license, and your Social Security number. You will also need to furnish proofs of residency in the state of Vermont and of legal residence in the United States if you are an alien. 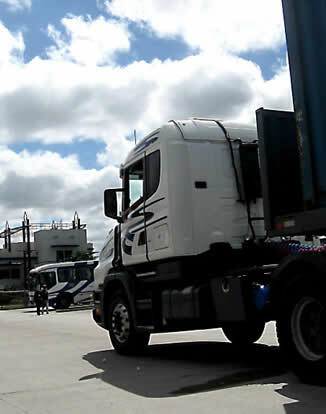 After this, you will be allowed to take the written exam which will cover some general information about truck driving. If you are applying for additional endorsements, you will have to take additional tests as well. If you pass these tests, you will be given a learner’s permit and you will be allowed to drive trucks as long as you are accompanied by a licensed individual. You need to schedule and take your skills test just before this permit expires. The test will include a pre-trip inspection, basic driving skills, and a road test that you will have to pass in order to get your Vermont Commercial Driver’s license. If you need help learning the skills to work as a professional truck driver, you can find many training facilities that can teach you. Classes normally take several weeks and school often have a job referral program to help their trainees find work after they graduate. 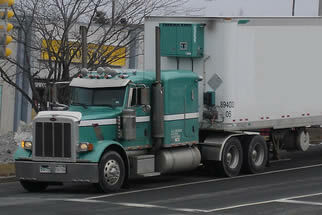 You can find a list of the latest truck driving schools in VT on this page. For further information about driving requirements in the state of Vermont, check out the CDL manual linked below.